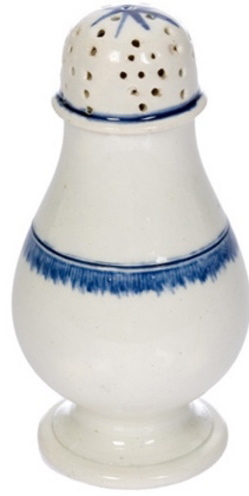 In America, lustreware became popular in mid-19th century. 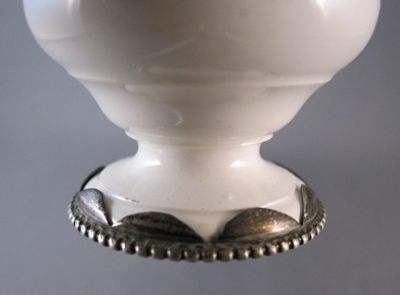 During the Victorian period, a certain dinner party fad was to place lustreware pieces on a mirrored platform as a table centerpiece and watch the glow of gaslight sparkle and shimmer. 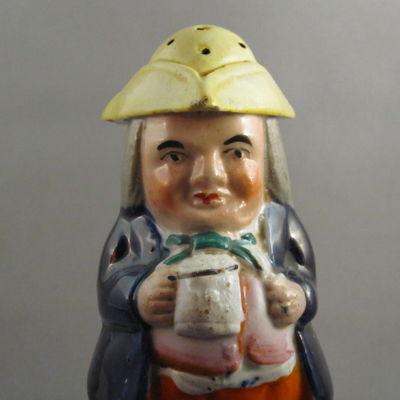 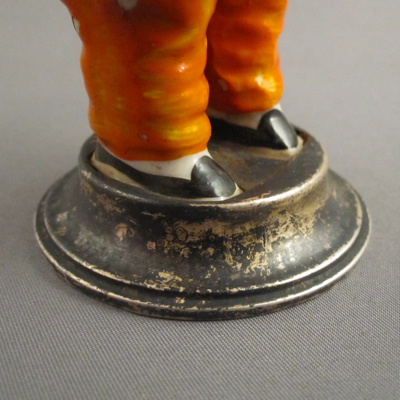 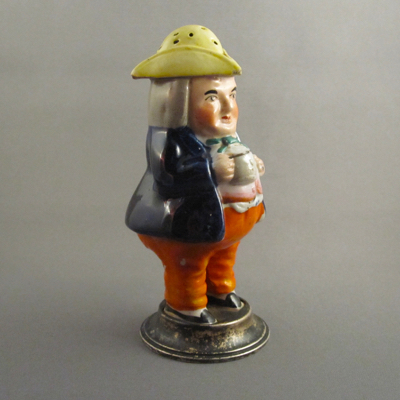 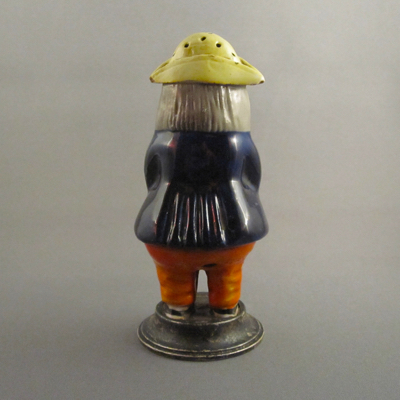 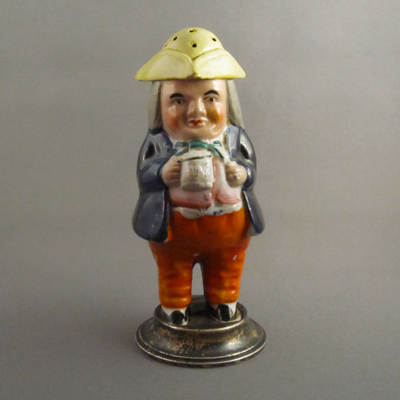 This sturdy little pepper pot from England stands 4-3/4″ high. 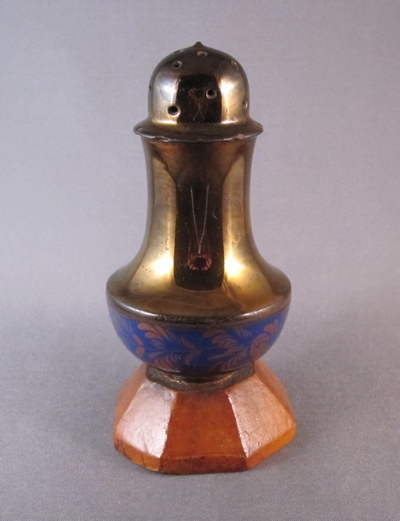 The warm tone of the replaced carved wood base matches the copper color glaze. 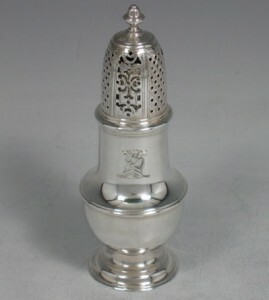 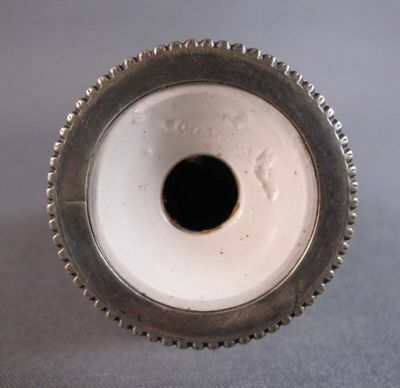 This form is a copy of an 18th c. Georgian silver pepper pot. 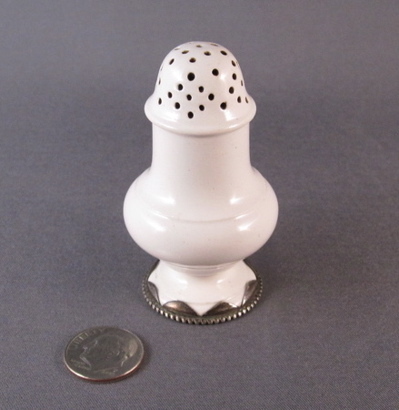 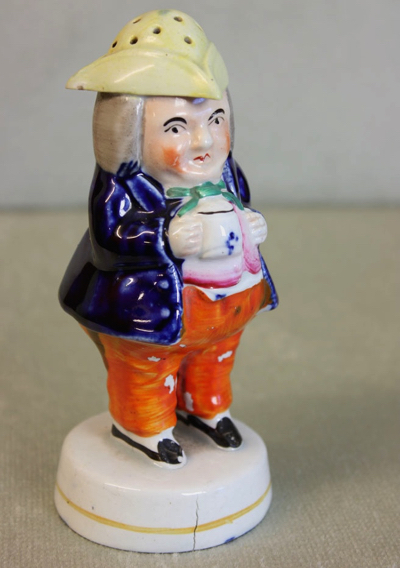 This tiny Wedgwood pepper pot was made in England in the late 1700’s and stands a mere 2-1/2″ high. The beautifully scalloped and beaded sterling silver rim masks unsightly chips to the base. 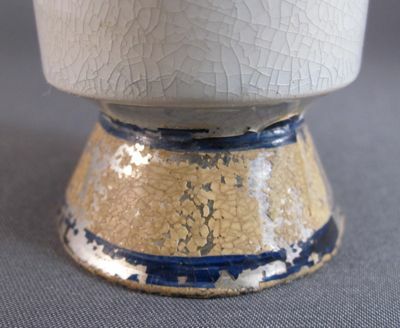 A faint WEDGWOOD mark can be seen on the bottom of the pot. 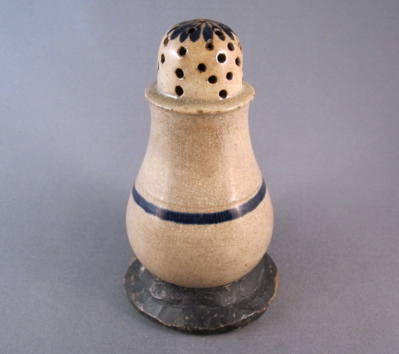 A perfect, larger pepper pot with an unblemished base. 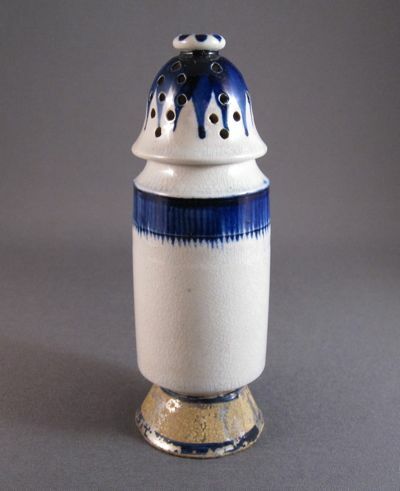 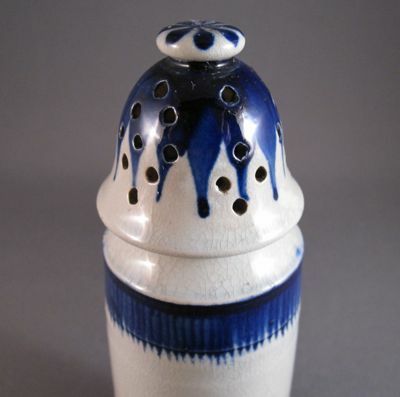 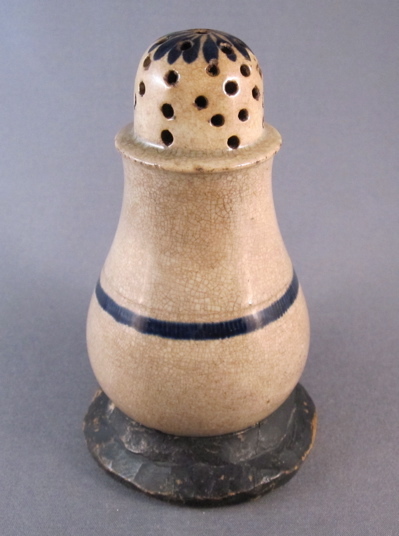 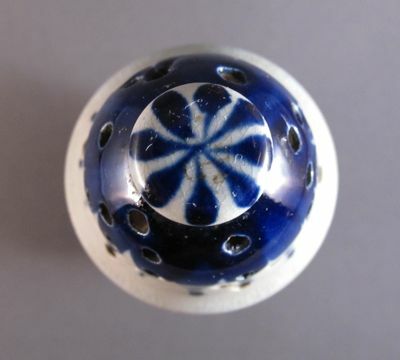 Baluster form pottery pepper pot from England with cobalt decoration, measures 4-1/4″ high. 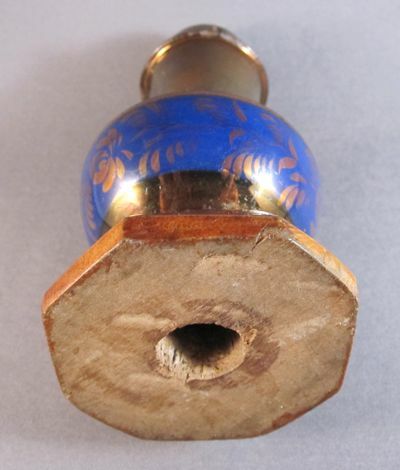 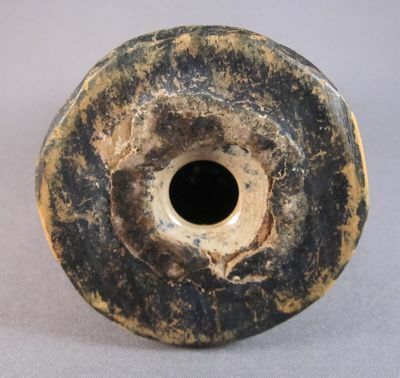 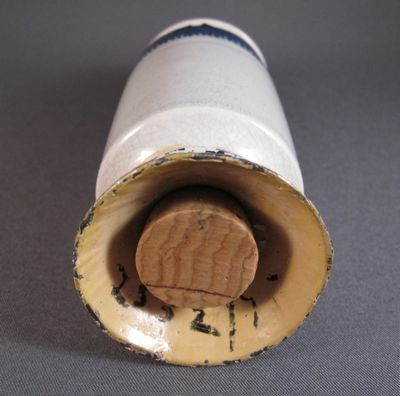 A base carved from wood and painted blue to match the caster’s decoration replaces the original broken base. 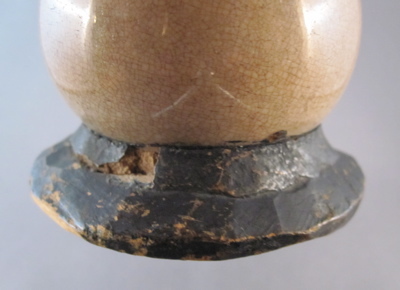 Putty was added to the crudely carved wood base to adhere it to the bottom of the pot. 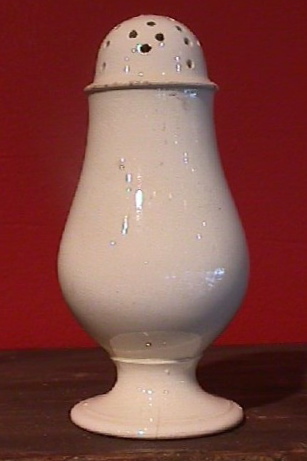 This Leeds pot with similar form and decoration has its base intact.